Welcome to Reality Talks! 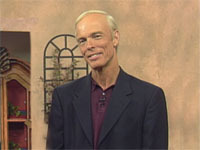 - the official web site of the television show featuring best-selling author / family psychologist Dr. Kevin Leman and co-host Dr. Jay Passavant, pastor and family counselor. Taped before a live studio audience, "Reality Talks!" tackles some of the tough questions facing families and marriages today. Please use this website to find out more information about the show and specific resources mentioned by Dr. "J" & Dr. " K" on the program. Please check back with us from time to time as we continue to update our website in order to serve you better. DVDs of Your Favorite Shows Coming Soon! Due to the overwhelming response to our recent survey, we are gearing up to offer DVDs of many of the Reality Talks! shows. Please check back periodically to learn how you can get your own copy of these valuable programs. VISIT OUR RECENT SHOWS RESOURCES PAGE! guests and resources mentioned on Reality talks! shows. Reality Talks! currently remains on the air entirely because of the support of our show advertisers. Revenue received from show sponsors or advertisers help to provide everything from closed captioning to operating expenses. Please consider contacting the featured advertiser below for more information. Christians helping Christians with medical expenses through a unique ministry that doesn't involve insurance. 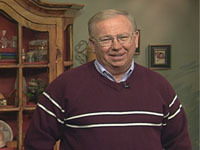 Find out more information by calling 1-888-268-4377 or visit www.samaritanministries.org . Be sure to mention Reality Talks! when you call. Check out these hand poured, natural soy candles for Christmas gifts from this famiy owned business. Apple City also provides discounts for organizational fundraisers. Call 1-888-34APPLE or visit www.applecityscents.com and mention Reality Talks! ** To view the commercials above, you must have quicktime ( for Windows or Mac). You may contact Reality Talks! with your general questions and comments about the show by emailing Reality Talks! (Click Here). For more specific contact information regarding Dr. Kevin Leman or Dr. Jay Passavant, please refer to the links below. Find out more about Dr. K!